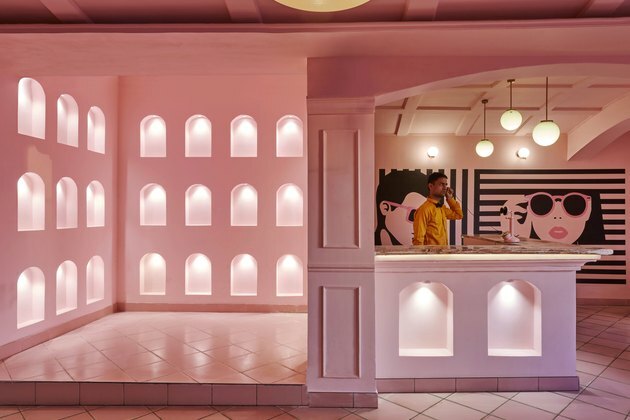 Stepping inside The Pink Zebra — a new restaurant in the Indian city of Kanpur — is a trip, to say the least. 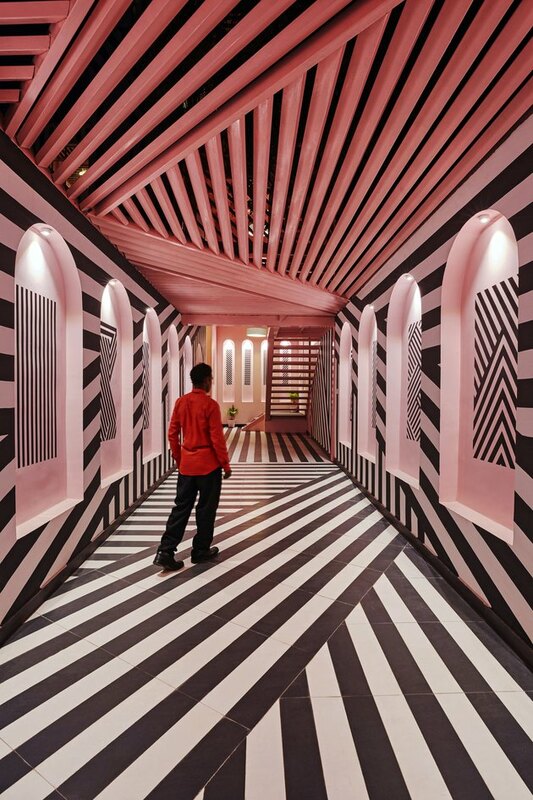 Bathed in Pepto Bismol pink, its angled zebra-like stripes along the walls work to create a distinct carnival fun house feeling. 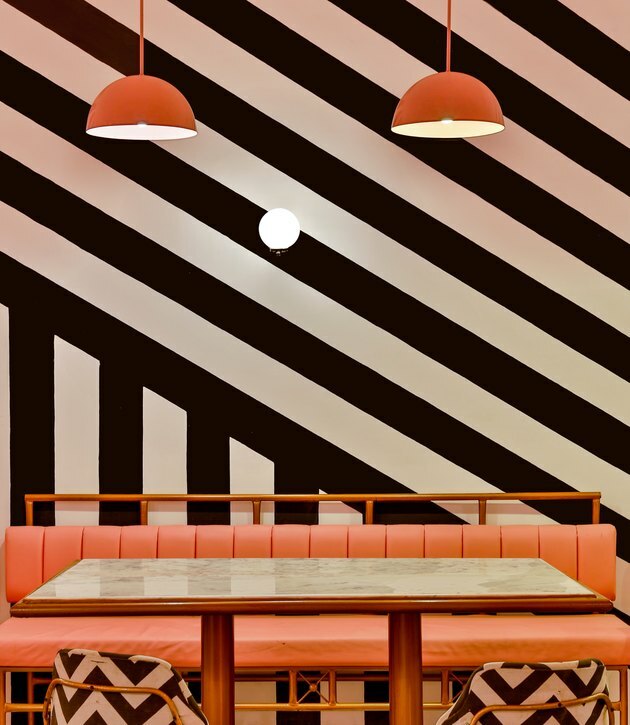 If you're already getting Wes Anderson vibes, you'd be right on-point, as the director's iconic set design served as inspiration for the eatery. 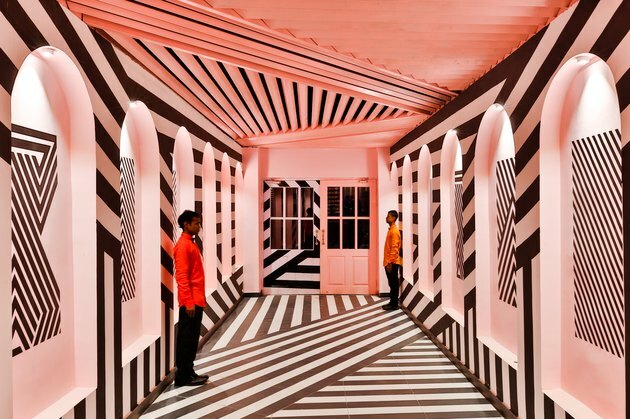 Sanchit Arora, head architect of Team Renesa Architecture Design Interiors, said that they looked to Anderson's self-contained, symmetrical style as a starting point, "... but adding that certain bizarre element to break that monotony of Wes's spatial ideology came through the black and white zebra lines dipping themselves in the pink monotone." 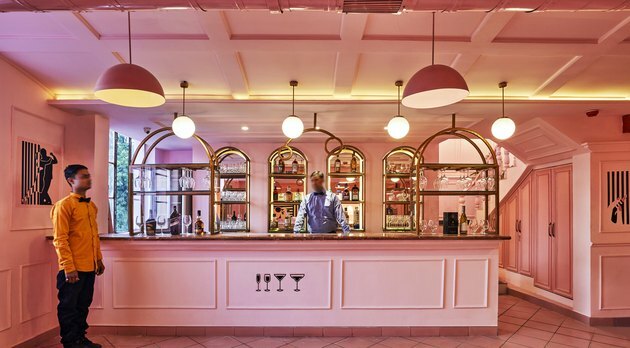 There's also a nod to the restaurant's context; art nouveau glamour and vintage-inspired luxury touches on the dense historical past of the area. 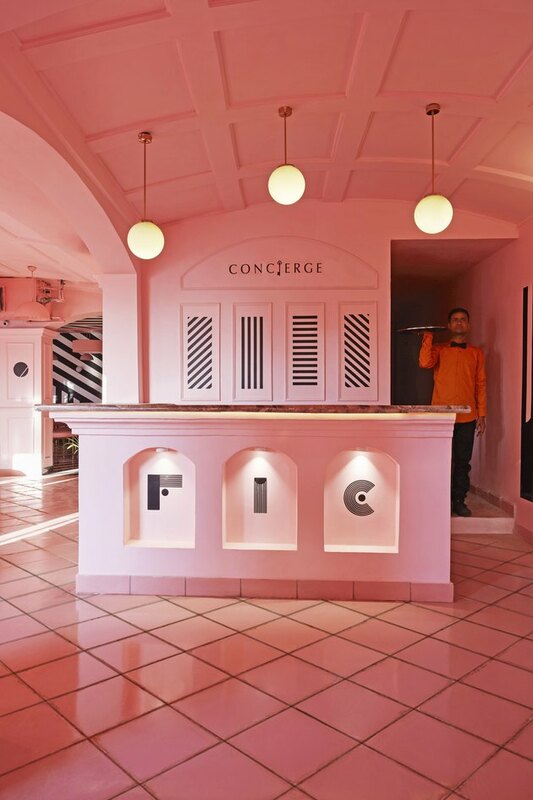 In combination, eating there becomes less about food and more about an artistic experience. 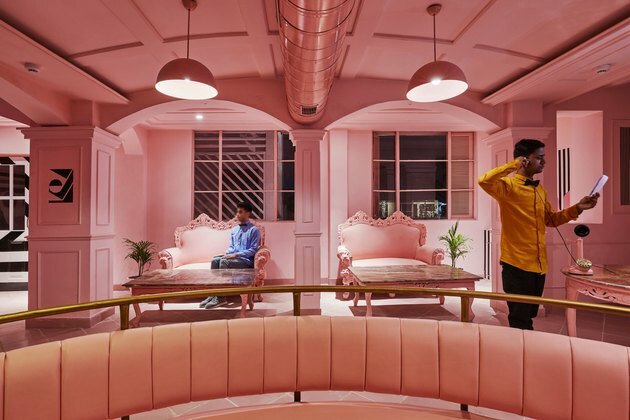 "The purpose of making The Pink Zebra was to speak of a complex and contradictory architecture based on the richness and ambiguity of old and modern experience[s] ... and leave the visitor hanging in the middle of an artistic sea," Arora said. Or you might just be wondering if you're having a weird dream. 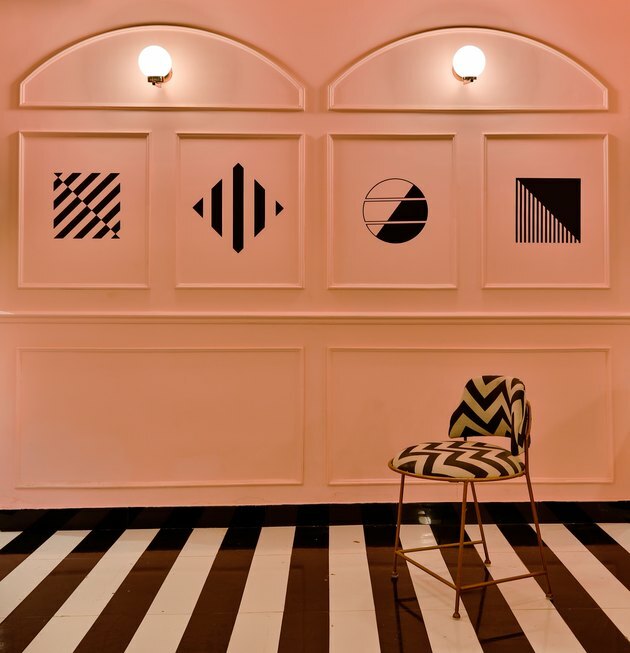 The whimsical design marries historic and modern elements, making it difficult to discern whether the building was designed in the past or the present. No, seriously. What day is it? Where are we? Arora said they thought of dipping a zebra into a pink sea when concepting the plans. Which is also now a weird recurring dream we will have to discuss with our shrinks. We're starting to feel like we might never get out of here. I guess we live here now. Maybe this is all one big psychological experiment? Although this could seriously be an episode of Are You Afraid of the Dark? Or a deleted scene from Willy Wonka. "Don't be a darned fool, Wonka! That's the way we came in!" Do you think the snozberries here taste like snozberries? 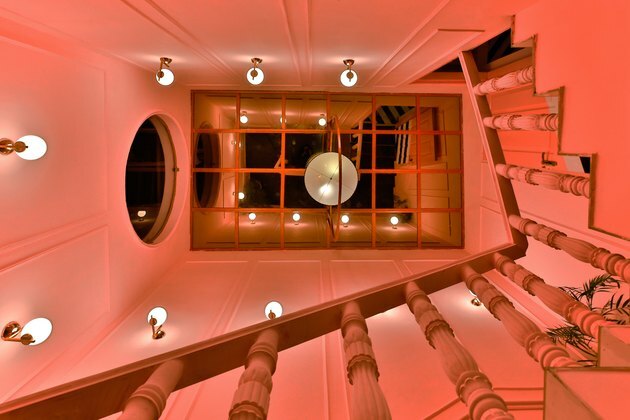 If you want to view paradise ... take these stairs.